Rings and gears and monkeys! Oh my! 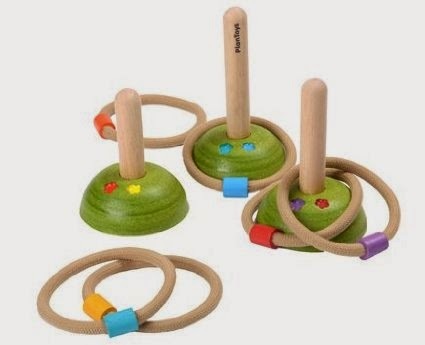 Kids enjoy practicing their aim with this ring toss. Set up the three wooden posts, then toss the rope rings. Colored beads on each ring match colored symbols on the bases of the post. This one will be very popular as spring is coming. Put the puzzle pieces together, add the colorful gears, turn the crank and watch them go! 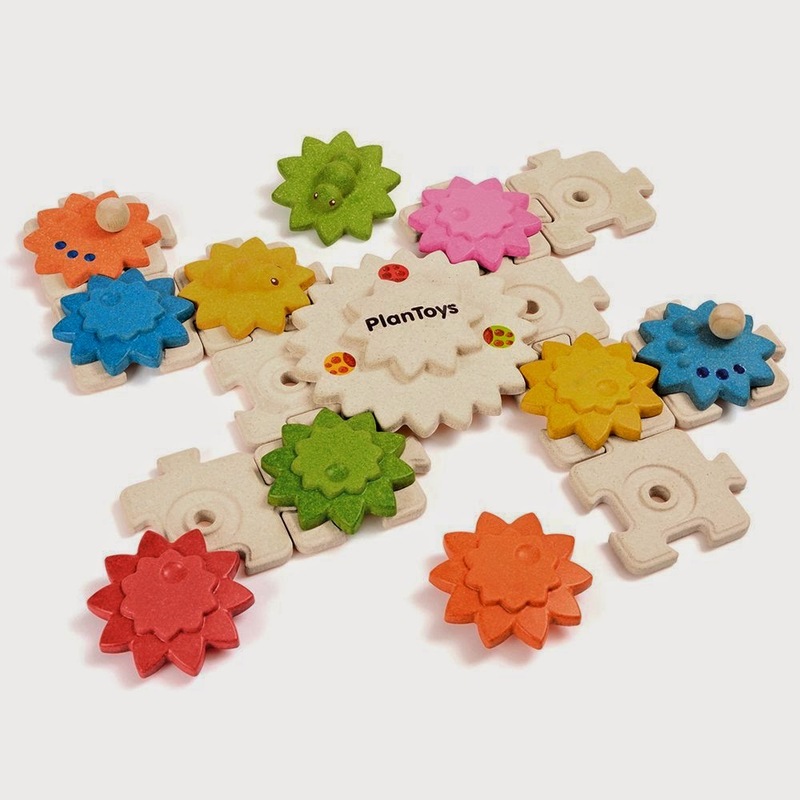 This set can be assembled in countless ways, letting children use their creativity and see cause and effect in action. I think this is my new favorite. This new toy combines motor skills and math. 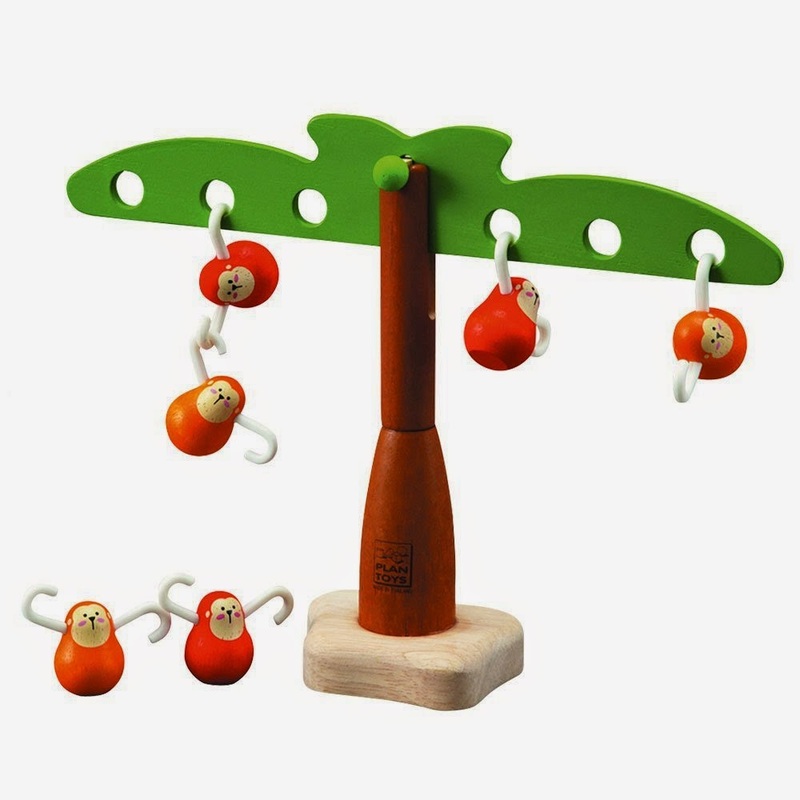 Children can see how the distance from the tree changes the balance of the monkeys. A lesson in basic physics for the preschool set. For more of our new acquisitions, visit our online catalog and click on What's New.